I’m back from Asia! Actually, I got back at the beginning of the month. I was just being a little lazy in updating this blog. But now I got some free time. I was in Asia for some personal business. Altogether I was in Shanghai (China), Siem Reap (Cambodia), and Taipei (Taiwan). 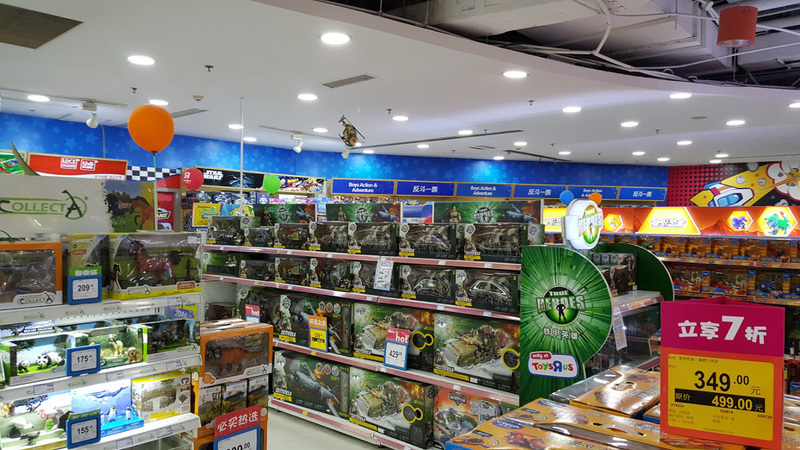 For the purpose of this blog I will only go into the toy hunting aspect of the trip. Gemini accompanied me on the Shanghai leg of the trip. This is the first time that Gemini and I have traveled together internationally. Being the collectors that we are, of course we are gonna go hunting for TFs and other goodies. But enough background info. Let’s get into what we uncovered! 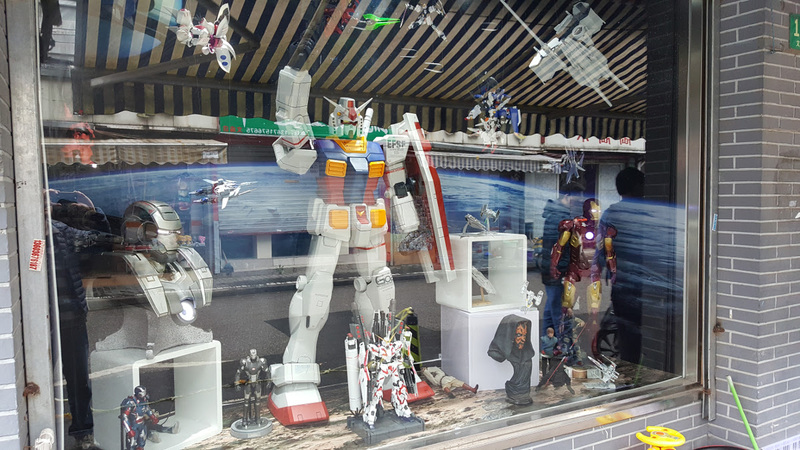 On Friday, May 27th, we decided to hit Shanghai Anime Street. Gemini discovered this area from someone’s blog post. 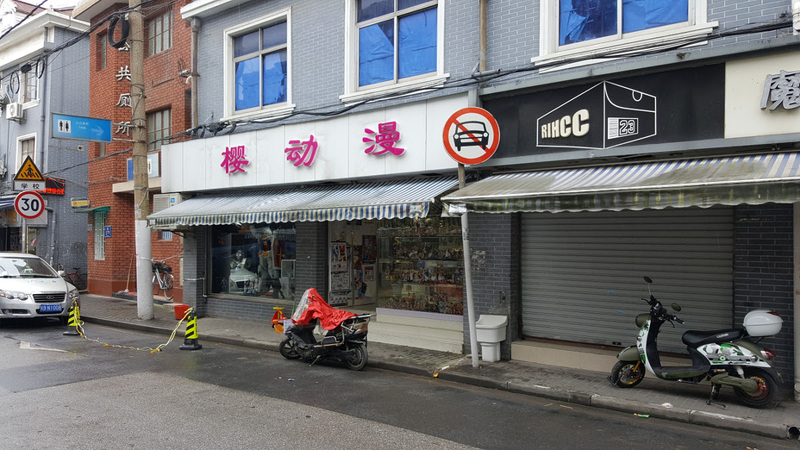 Friday we had a driver in Shanghai, and so we asked him to take us here. It’s a good thing we had a driver for this. This area is really hard to get to. We came here in a van, and anyone that has seen Shanghai traffic will tell you that traveling in a van is ill-advised. When the driver got to this area, I was thinking we are gonna have to go in on foot since the streets are really small. Then the driver drove the van into the area! I was half freaking out. I seriously thought he was gonna hit something for sure. But these professional drivers in China have gotten navigating big vehicles in small spaces down to an art. Needless to say I was amazed. We got out once we got to Shanghai Anime Street. I only have pics of the outside, since most stores do not allow photography of any kind inside. I never really understood that rule. I think we went into about 8 or 9 stores total, looking for various things. Only 2 stores carried enough TF of interest. 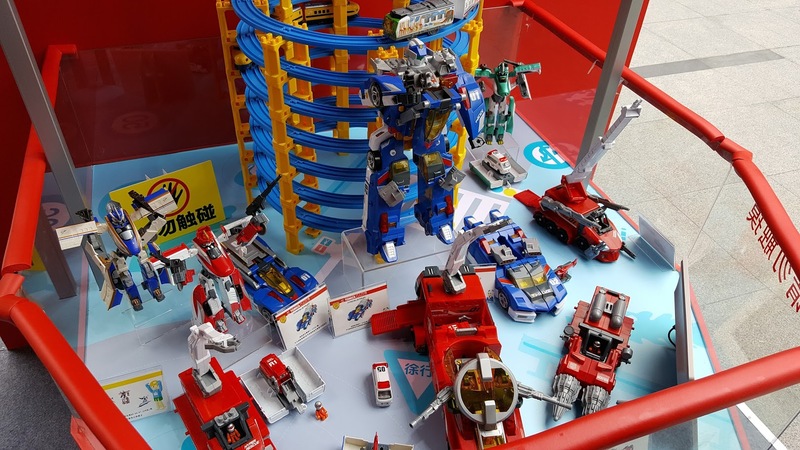 One store had a set of the Prometheus Combiner by TFC Toys, Gundog by MakeToys, some figures of Nero Rex by MMC, and some other stuff that I don’t remember. The other store had some figures of Gravity Builder by Generation Toy (GT). Looking at these figures, I was really impressed. The amount of detail on them is amazing. Looking at these figs and comparing them with TFC Toys Hercules, it’s mind blowing to see how far 3rd party transforming figures have come. I was talking with the store owner there, and he really liked the GT set of Constructicons. Doing the conversion of RMB to Dollar, I saw that it was a little cheaper to buy in China. And so I tried to buy GT Scavenger. But then I find out those were for display only and he wasn’t selling them. Bummer. 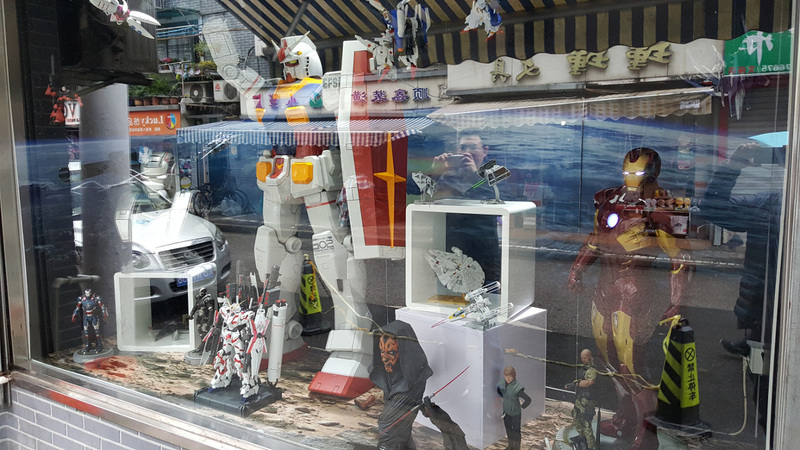 In the end I left Shanghai Anime Street with nothing, but Gemini was able to find some nice Gundam sets. On Sunday, May 29th, Gemini and I roamed around Shanghai during the day. The Shanghai Metro is totally cool; very fast and very easy to use. We looked up places that have toys and went to Isetan. (Sidebar: China blocks Google, including Google Maps. So using some other site for map navigation is preferred, such as Baidu.) Isetan is basically a huge department store. Shanghai has tons and tons of department stores. 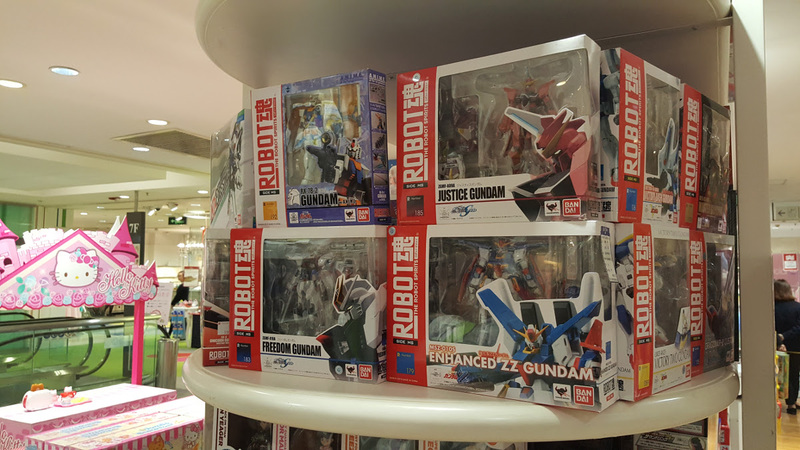 But Isetan is one of the few that has a dedicated toy section. And of course department stores allow photography, so I was able to capture some pics below. There were some TFs, but nothing that I can’t get here in the States for cheaper. The store had lots of the G1 Platinum reissues, including Trypticon, the Blaster and Perceptor set, the Insecticons set, and others. 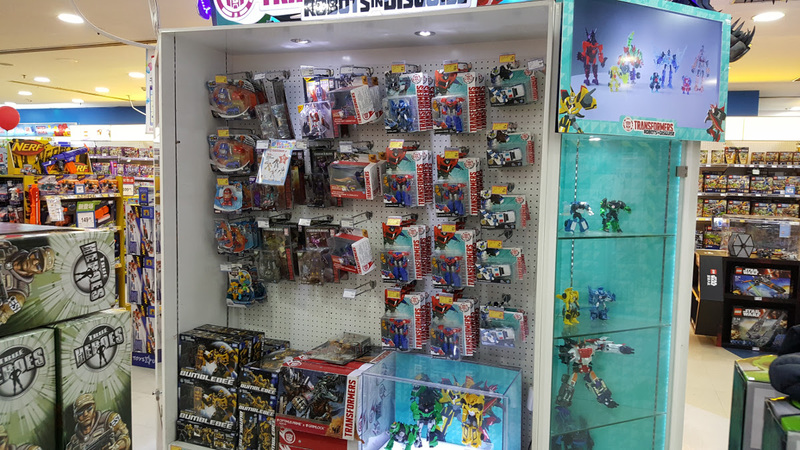 On the shelves were also the Combiner Wars G2 color Aerialbots and Stunticons sets. Again, all these can be purchased cheaper in the States for less. So we left without buying anything. It was cool to see all the toys though. Isetan had a really impressive Lego section. On the way back from Isetan to our hotel, we stopped by Jing’an Temple again. Last time I was here I saw a nice display for Age of Extinction. 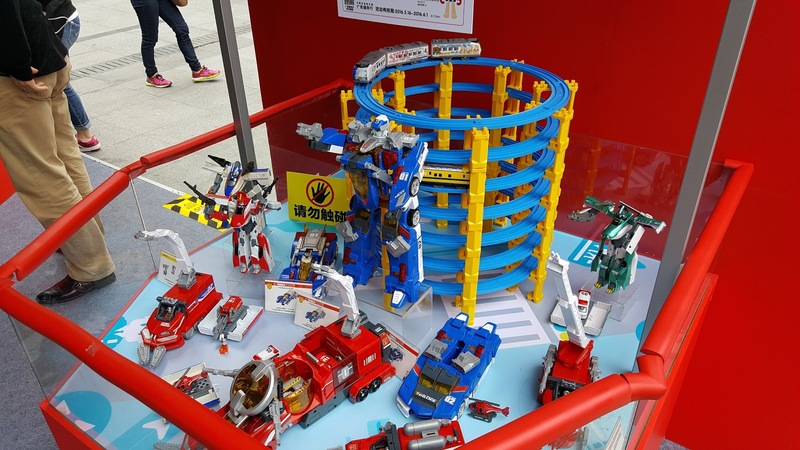 This time Hasbro/Takara had another booth, but not for TFs. It was their new robot building toy line. I didn’t get the name of this line, so just check out pics below. On Monday, May 30th, we had another driver to take us around. We went all over Shanghai on this day. 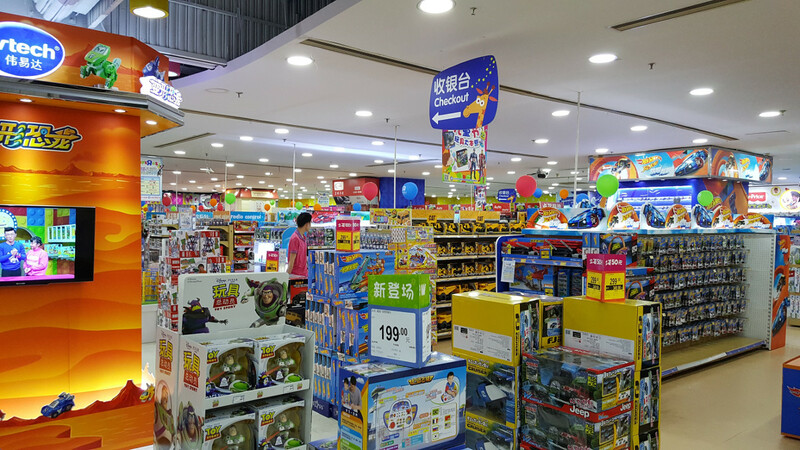 While we were in the Pudong district, we stopped by Toys R Us. Now here we hit the mother lode! Lots of TFs here! And lots of other toys too. I was able to find stuff here that I never saw in the States! Check out pics below. 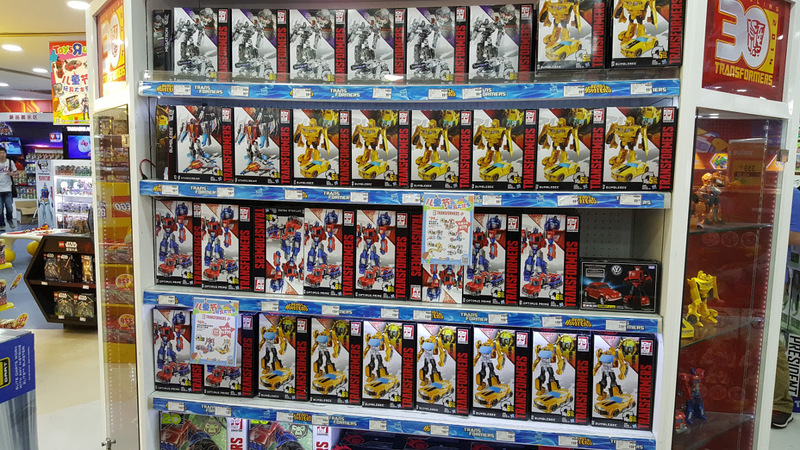 Most of the figures on the shelves are from Transformers Robots in Disguise. But they had Cominber Wars stuff too. Gemini and I looked hard through the CW section for Groove, since we know this to be an Asian exclusive. We didn’t have any luck finding Groove. 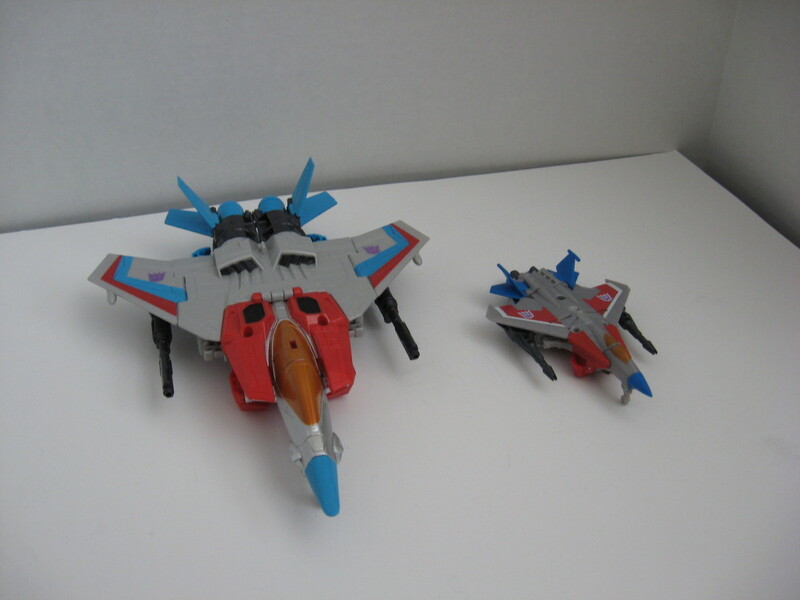 But looking at the Takara version of CW figs, it’s clear that the paint job is much better. See the pic above. In the lower right corner, there is a voyager sized green Grimlock from TF RiD. This is something I never seen before. Looking at it close, this Grimlock is a repaint/rework of Generations Fall of Cybertron Grimlock, with a new color scheme, new head mold, and some minor mold reworks. Very very cool! 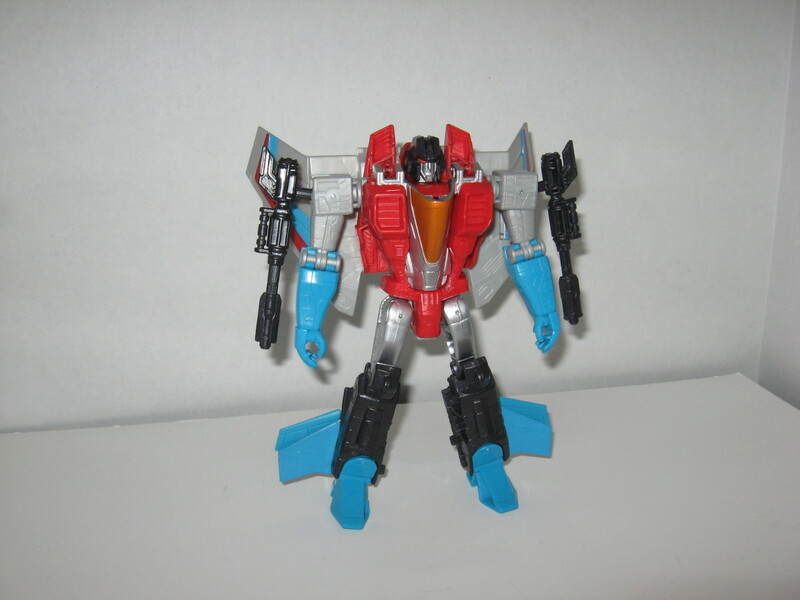 I have the deluxe size version of this fig, and I feel that’s just too small to be Grimlock. I wanted to get this at the store, but the price wasn’t worth it. I later saw a online retailer here taking orders, at a much more reasonable price. I may get this later. See the last pic above. They had a whole section of approximately Voyager class figs that I never even knew of! And believe me when I say I’m on top of everything that will come out. 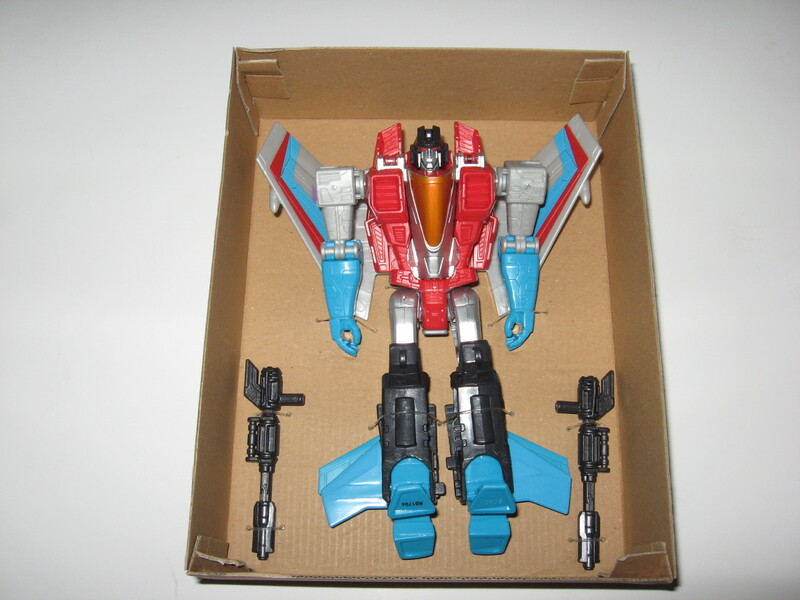 At first glance I thought they must be from the TF RiD Line, but the packaging more suggests the Generations line. There are 5 figs in all: Optimus Prime, Megatron, Starscream, and two kinds of Bumblebees (a G1-styled version and a movie-styled version). Gemini has never seen these before either, so we both stood there for a long time to examine these closely. We came to the conclusion that these are basically bigger versions of Generations legend size figs, particularly Starscream. I would find out later, after returning to the States, that these are part of the Cyber Battalion line. 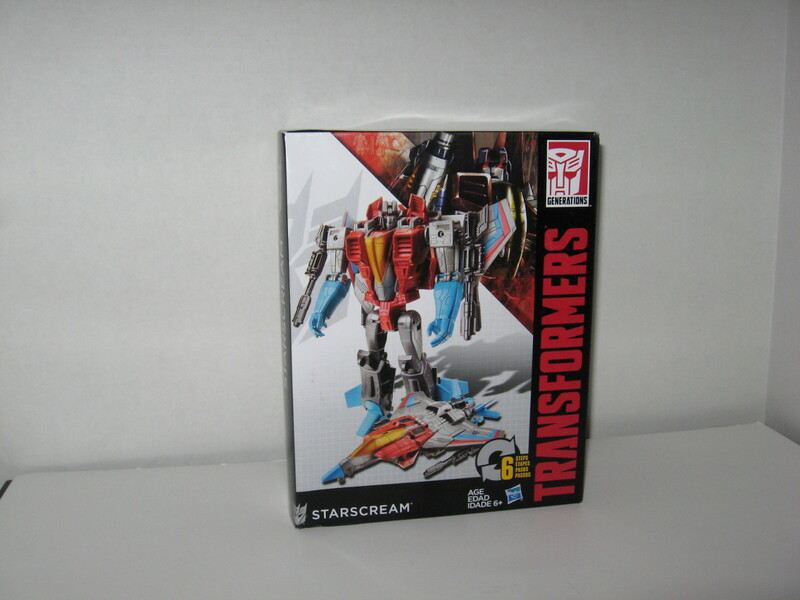 But at the time I was beyond thrilled of finding something new, and so I bought Starscream. I wanted to buy them all, but didn’t know if these would be any good. 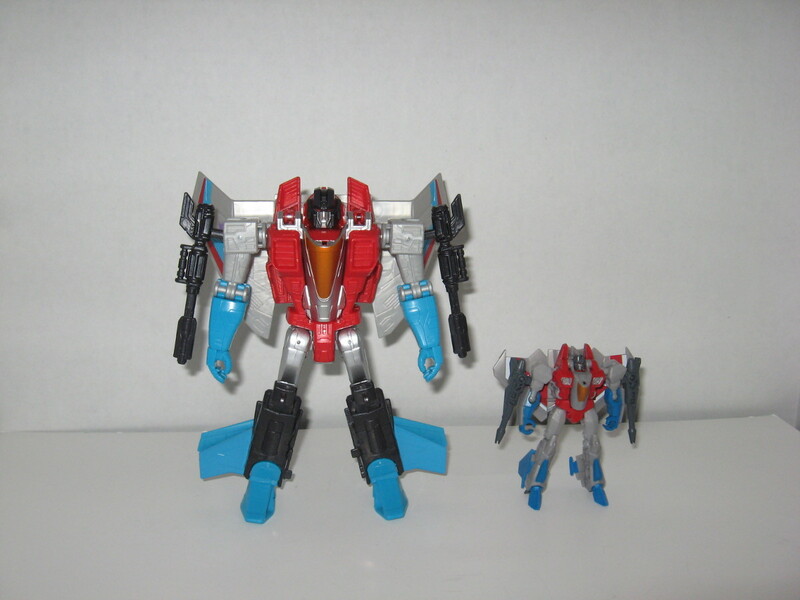 I picked Starscream because he would scale well in the Generations line of figs. 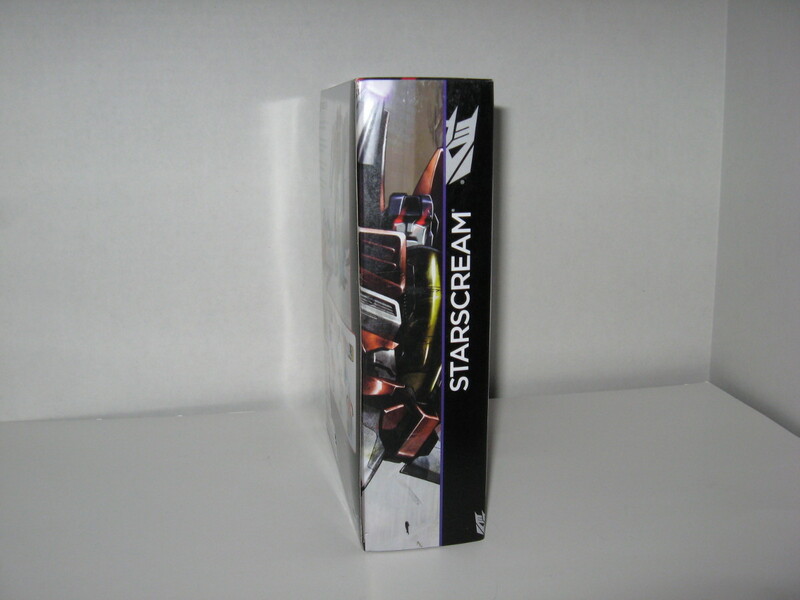 Legend and Deluxe Generations Starscream are much too small in CHUG, and the leader class way too big. This one is just right. 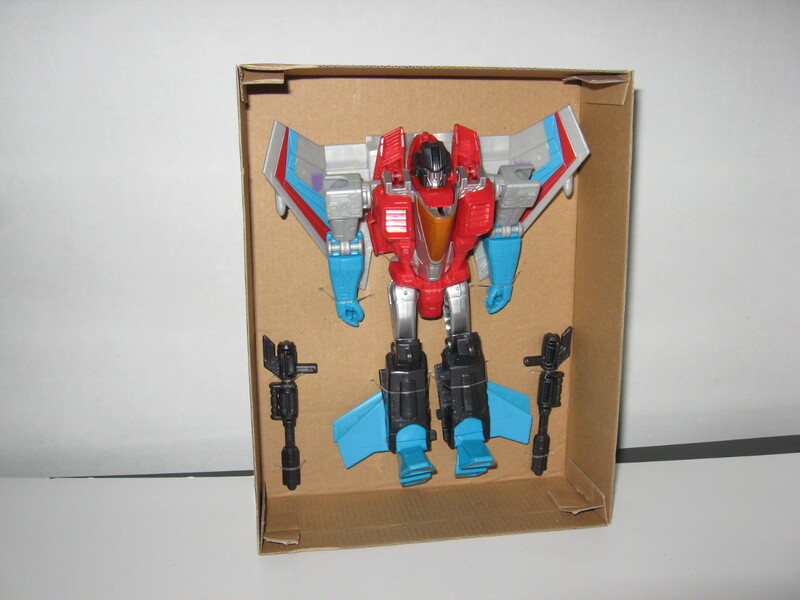 And so here is Cyber Battalion Starscream, my only TF purchase for this Asian trip. I won’t review this too much. He is very much like the legend figure, but bigger and slightly more intricate. 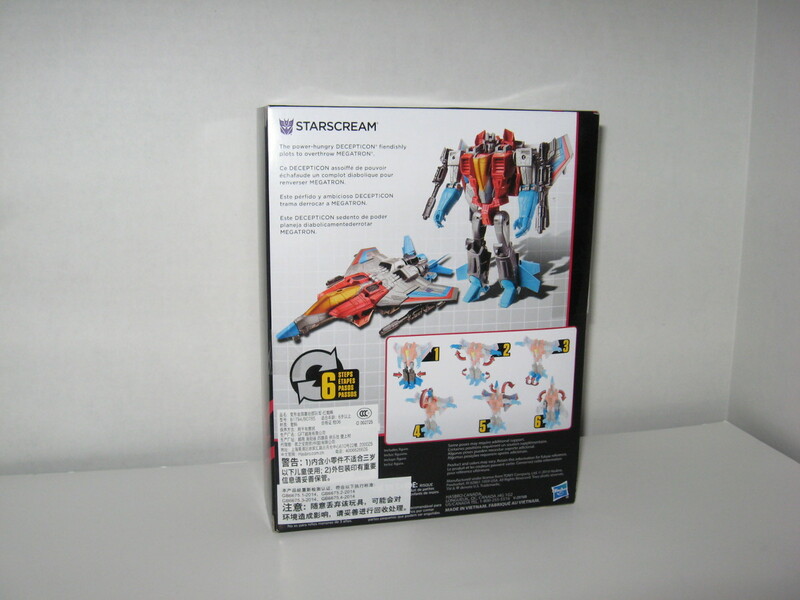 The last two pics above show him next to legend Starscream. 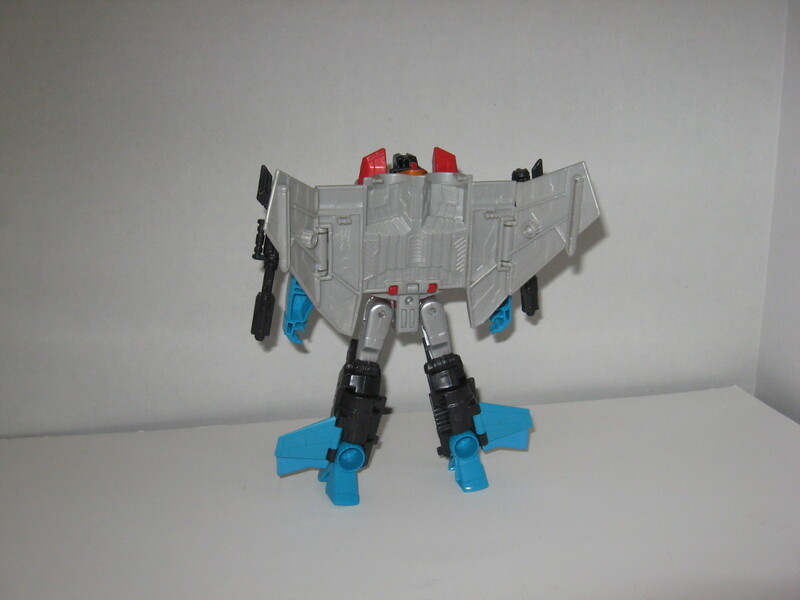 Cyber Battalion Starscream has feet transformation that’s slightly different, and the wing edges can be folded back. The figure only cost about $15 US, so I don’t expect perfection here. He’s a nice figure to pick up and play since he’s so easy to transform, but at the same time he scales nicely with the rest of my CHUG line-up. I like to pick up the rest of the Cyber Battalion figs when they arrive here in the States. 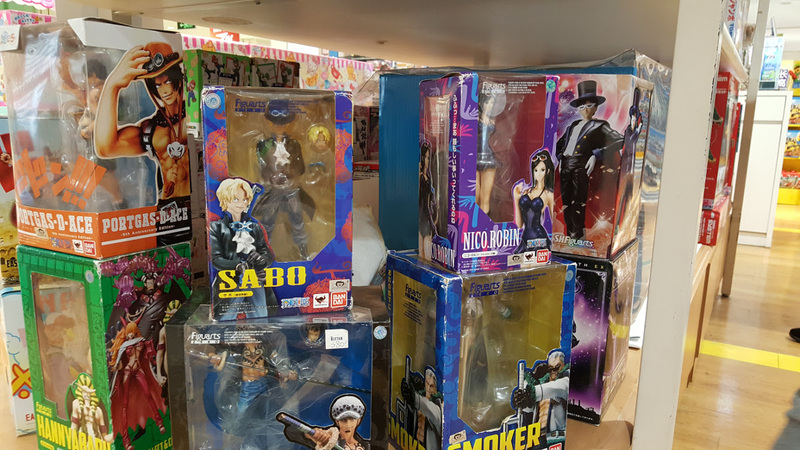 So that’s the re-cap of the toy-hunting aspects of this Asian trip. I had a blast! I want to go back there soon.